There was an insatiable desire inside me to please others. To sound tough, I used to say I didn’t care about what people said or thought about me. But, inside, I craved for others to like and accept me. I overextended so people would be disappointed, and over-explained myself so I wouldn’t feel guilty. What is that? 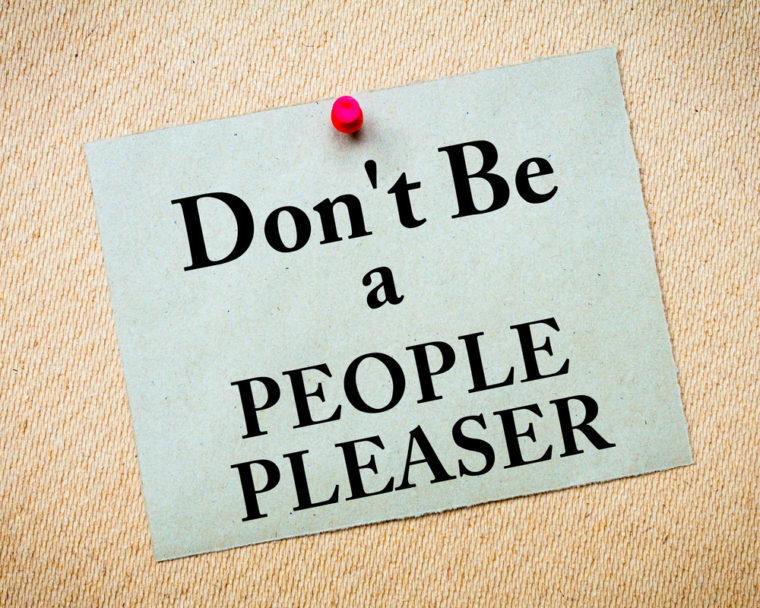 Signs of people-pleasing Where did this come from? Why did I so desperately need people’s approval? We learn very early that if we do something well, and people give their approval, we want to do again and again “the thing” that wins the approval of others. For instance, if people applauded our performance when we were children, we learned very early to keep performing so we could be applauded again. If we painted a picture and mom gave us a treat, then we would continue to paint great pictures to get more treats. If we cleaned our rooms or ate all our vegetables, then dad would reward us. Therefore, we learned very early to perform for the reward. If someone does not correct this behavior, it carries over into adulthood, and it becomes increasingly unhealthy. If I preach a good sermon, people applaud, and I like how that feels. So, I work hard to preach a good sermon, not to please God, but to get kudos. If washing the dishes or taking out the garbage increases my chances of intimacy at the end of the night, then you better believe I’m going to wash every dish and remove every piece of garbage from the house. Working for approval is a drug. It’s an addiction. Find your security and hope in Christ. Who does God say you are? Therefore, his opinion of you has to matter more than what others think of and say about you. So, God says that you are valuable (Psalm 8:5; 139:14; Matthew 10:31), new (Romans 8:1-2; 2 Corinthians 5:17); and unconditionally forgiven, accepted, validated and loved (Romans 8:39). Trust that only God can and will always love us in ways others can’t. Thus, he is the only one that can satisfy the love and acceptance we crave. Therefore, recognize that everyone who loves you will never love you like Jesus loves you (John 3:16; Romans 5:8; 1 John 3:1). His love is perfect, pure, unconditional and satisfying. God is crazy about you. Out of the twenty-four indicators of people-pleasing, which one stands out to you? What are some others ways we can heal from being people pleasers?